My daughter LOVES birthday parties. She has been planning her October birthday party since last December (yes, nearly a whole year) and I still CANNOT believe that she never changed the theme, not even once! 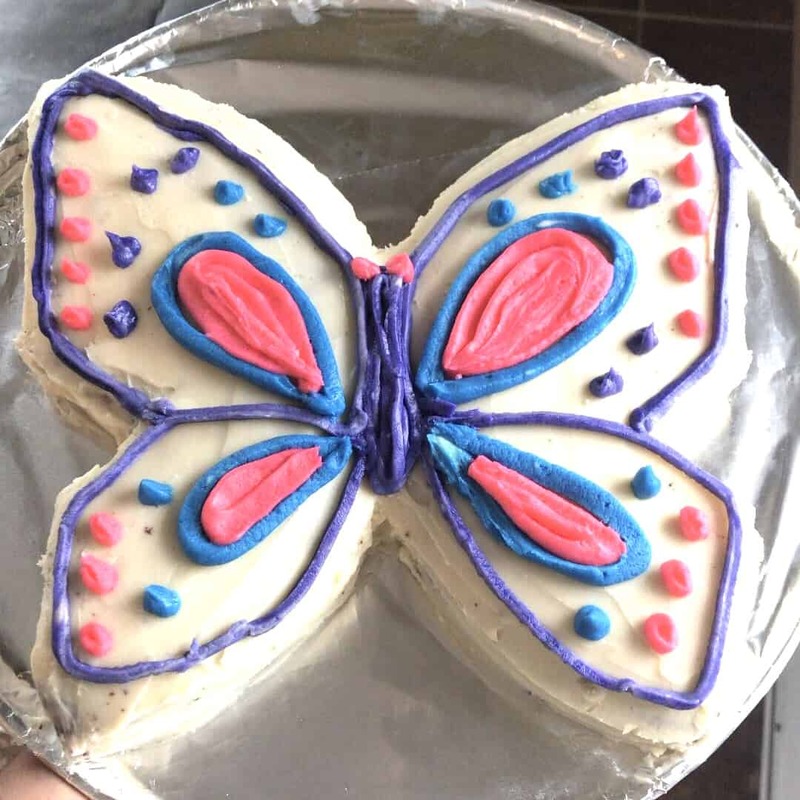 It’s been a butterfly birthday party in the making for almost a year! I of course did not start planning that soon (more like the day before), but little girls can dream, right?! We kept things very small this year, but it was fun to put up a few decorations and I always love decorating the cake, it’s one of my favourite parts. You know, that time when nobody has arrived yet and the house is still quiet, lol. 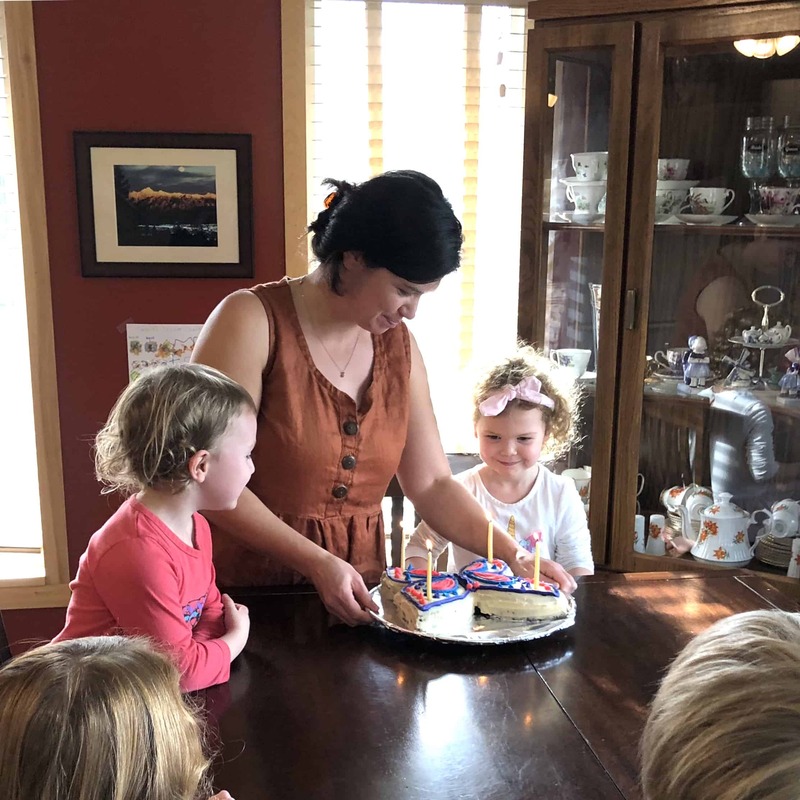 There’s no hiding that birthday parties can be a bit stressful, even small ones, but knowing how much fun the kids have always makes it worth it. 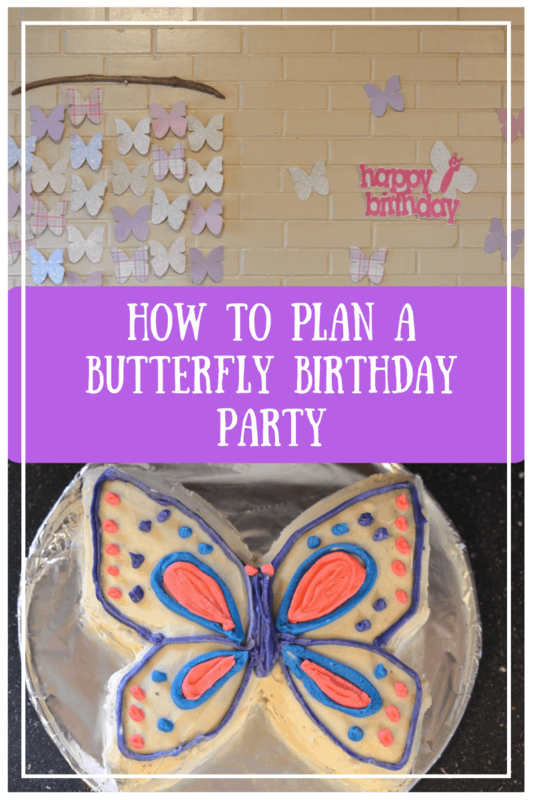 So if you’re little one wants a Butterfly Birthday Party then this post is for you! Make sure to let us know if you try out any of the ideas, either in the comments or tag @sewbrightcreations on Instagram! You can also check out my Pinterest Board for more inspiration. If you’re looking for other party ideas, make sure to check these ones out! My sister in law and I were up the night before making a few decorations. She had brought her Cricut machine, which is AMAZING! I’ve linked it below incase you’re wanting to check it out. It’s definitely on my wish list, there are soooo many things you can make with it. I digress…. 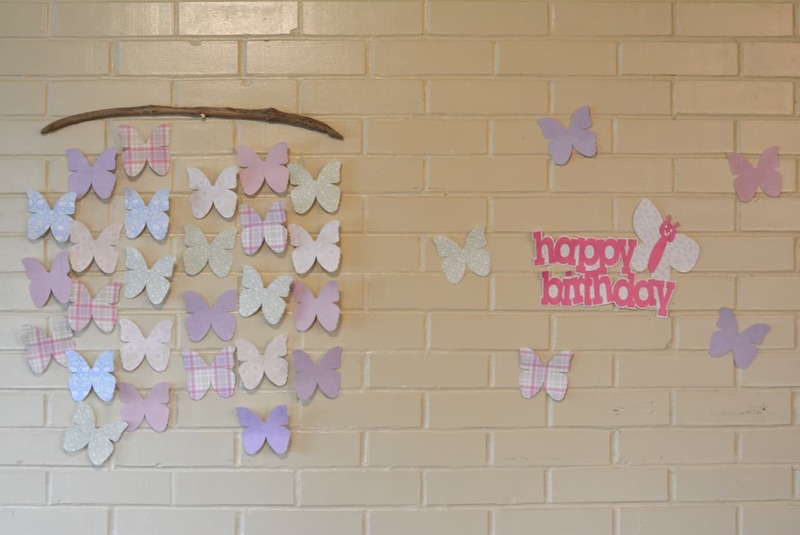 we used scrapbook paper, that I’ve had FOREVER, to make butterfly cuts. Does anyone even scrapbook anymore? We have no shortage of sticks around our house as my daughter has a tendency to bring them back from adventuring…. so I drilled a few small holes in one to put fishing line through. I taped the butterflies onto the fishing line, alternating between each paper pattern. It was simple, super cute and I love that we can keep it! If you aren’t wanting to keep it, you could just tape them onto fishing line and hang in a window or on a wall without the stick. That would look really cute too. The Cricut was also used to make the Happy Birthday cut out! I think we spent maybe an hour or so in total working on these decorations, it really didn’t take long! PS. If you are wanting to purchase colouring fabric, let me know! I am getting rid of my stash. I have butterflies, owls and princess and construction themes for younger kids. The original plan was to make cookies, decorate them at the party and then they could take them home in their snack bags. Sounds perfect, right?! Well, I totally mixed up the time of the party. I told everyone it was over at 2pm, when in fact I had it in my head that it was over at 1pm, so I was rushing at the end and figured we just didn’t have time to decorate cookies, plus I really didn’t have the energy at that point. Momma was exhausted! 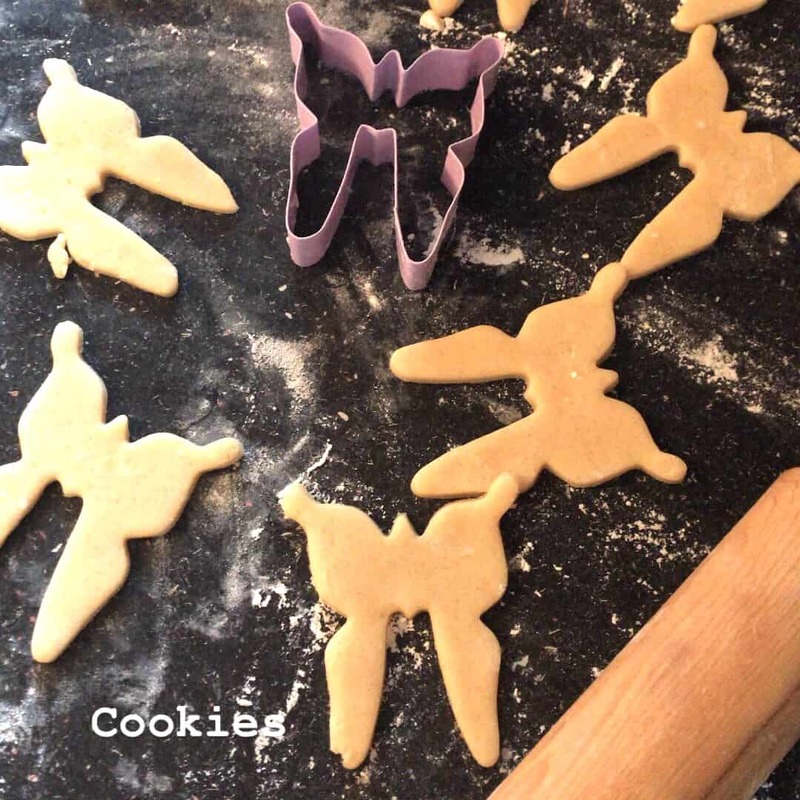 Needless to say, I made a ton of butterfly cookies that never made an appearance at the party. A few days after, my daughter and I decorated some of them ourselves and there are still more in the freezer. Will be fun for when a friend comes over. The morning of the birthday party I realized that I had no activities planned. Do you plan activities for your kid’s parties? 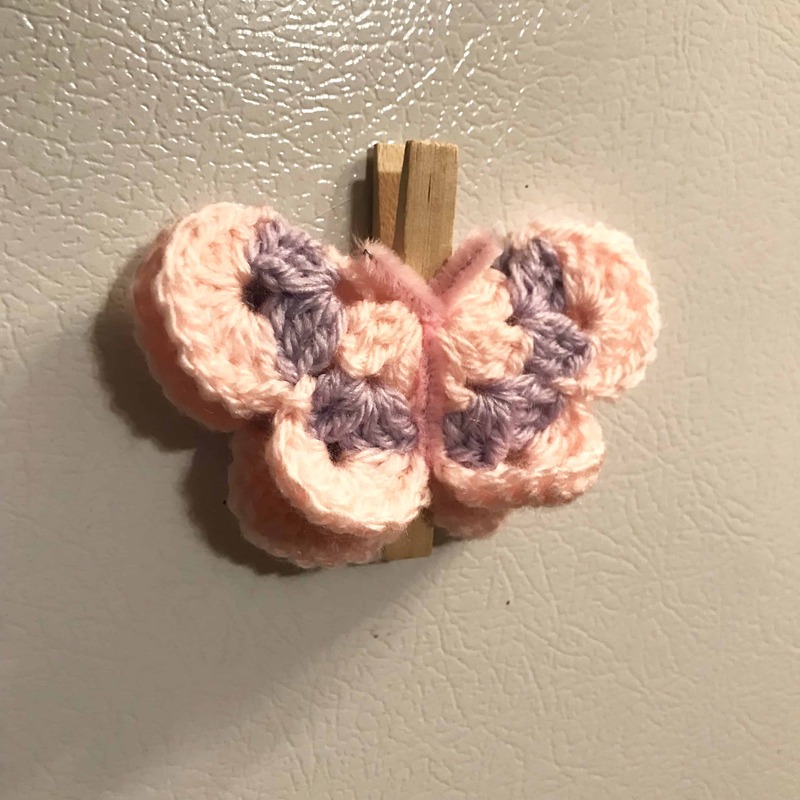 Within a few minutes of scrolling Pinterest I decided to plan a butterfly craft. 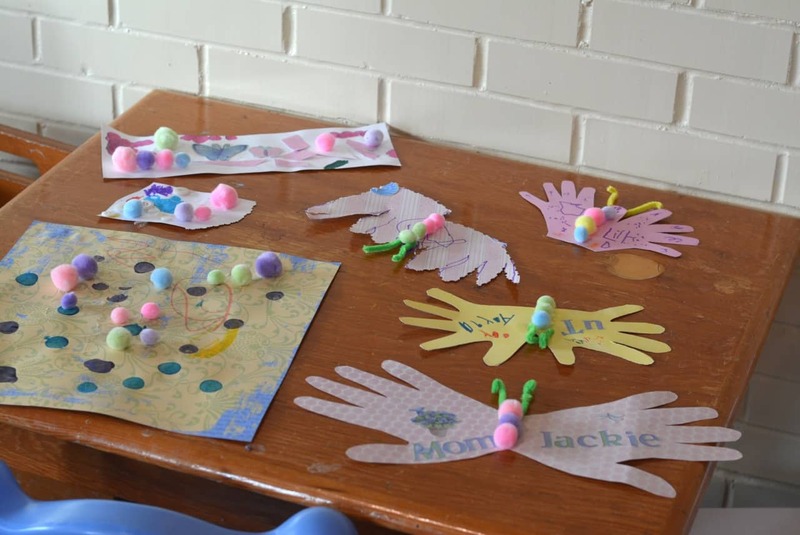 Well, there really wasn’t much planning other then getting some paper, glue, markers, pom poms, pipe cleaners, scissors and whatever else I could find in the craft box and spreading it out on the table. It was fun though and I’m glad I had something for the kids to do. I mean, they were quite content just playing, but it was nice to have something that everyone could participate in together and I found it relaxing to just sit down for a few minutes and enjoy our company. Normally I take way more photos, but this year things were just a bit less organized! My husband away at the time and I had company visiting for the week prior so I wasn’t on my A game, lol. It all worked out just fine though! For lunch I made homemade pizza (ham & pineapple and taco, because we had leftover taco meat in the fridge), a veggie tray and fruit tray and pink lemonade to drink! Thanks to my SIL for the help! Simple, but delicious! 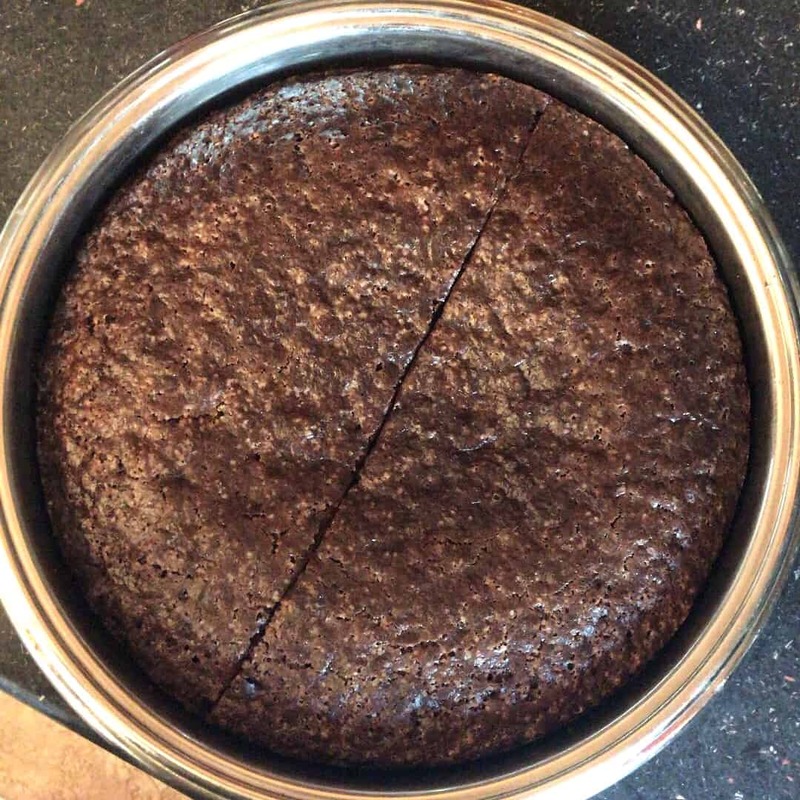 Cake is my favourite part. I love decorating, it’s so much fun. 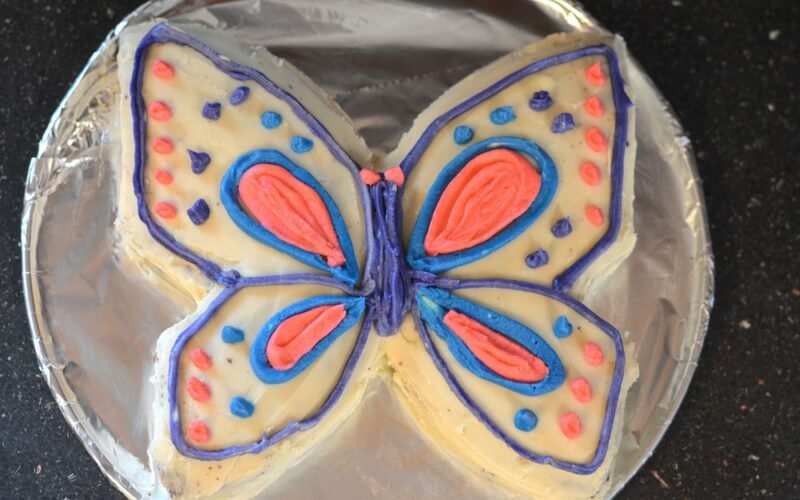 This butterfly cake was actually very simple too! I cut the circle in half, notched it out in the centre and then placed the outside edges of the circle together. As for the design, I just free styled it, whatever came to me at the time! I used a no egg chocolate cake recipe with buttercream icing (the best). A friend sent me the recipe and we’ve used it a couple years in a row now, click HERE for the link. The colouring is a box that I purchased a few years ago. If you love to decorate, this is a must. So many different colours and the colours are all so rich! It also takes a very small amount to make the colour rich. I dab a small amount in using a toothpick. It really doesn’t take much at all. They are also linked below. 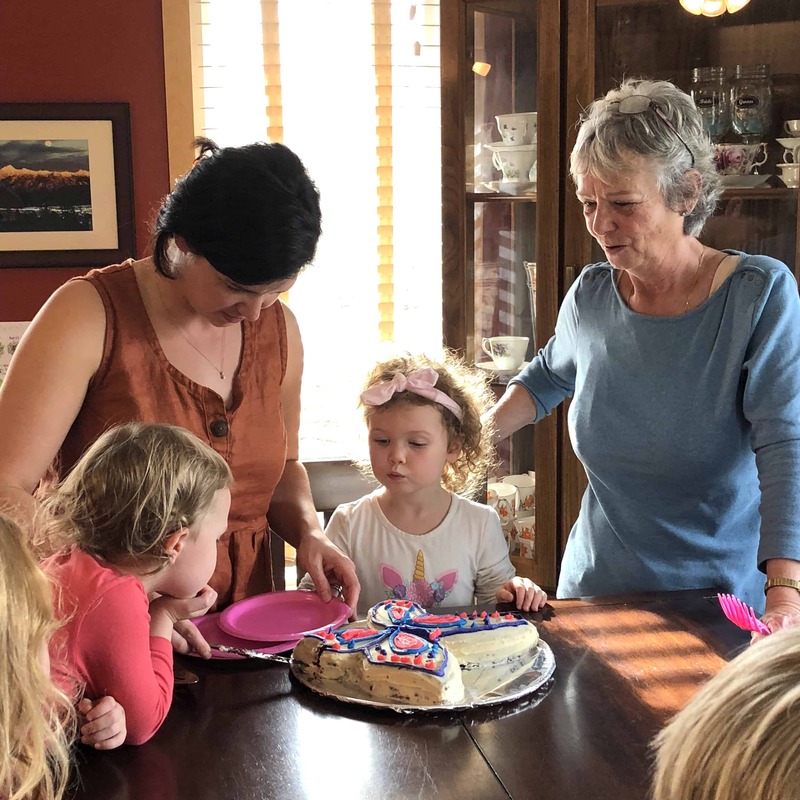 I’d love to hear your birthday parties ideas in the comments below! Any theme! The post contains affiliate links. 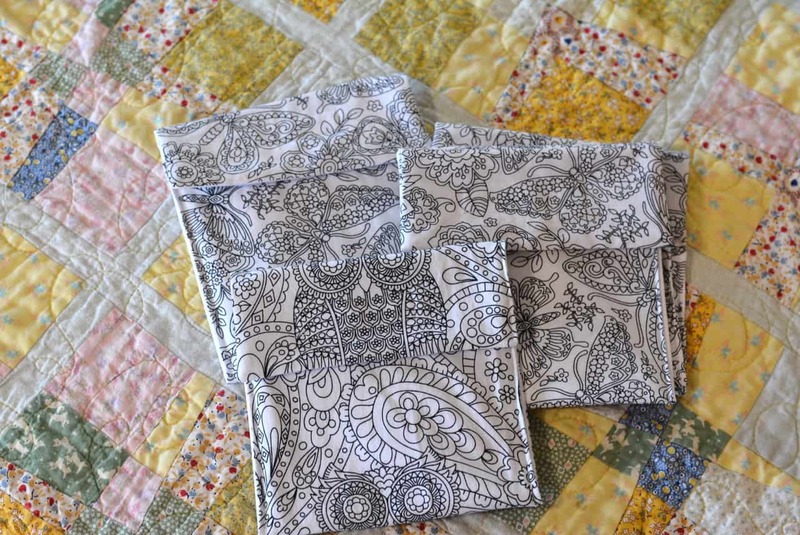 If you make a purchase from any of the Amazon links, Sew Bright Creations will make a very small commission, at NO extra cost to you, which helps to keep this blog going. Your support is much appreciated!